In the past, a common vision related to braces is an awkward teenager with a mouth full of metal brackets and wires. Today, teenagers and adults alike have braces. This has many people asking, What’s the perfect age for braces? The following information will explore the answer to this popular question and will help you determine if now is the perfect time for you to get braces. What is the ideal age for braces? Children are encouraged to visit the orthodontist by the age of seven. This age is when children lose baby teeth and their adult teeth are growing in gradually. An orthodontist will look for signs that braces will be needed in the future. Common signs include crooked teeth, an underbite or overbite. Children’s mouths are continually growing and changing. An orthodontist will determine the perfect time for the child to get braces. The ideal age for each patient is different and is determined on a case by case basis. Is now the perfect time for you or your child to get braces? Find out today by scheduling your consultation with Dr. Jacquie Smiles by calling 212-972-3522 or filling out the contact form. No. Some people don’t visit the dentist when they are children for one reason or another. Sometimes parents who have a fear of dentists deter their children from getting proper dental care. These children grow up and decide they want to visit the dentist. This means some adults are visiting the orthodontist for the first time in their life. According to the American Association of Orthodontists, one in five patients is over the age of 21. Common issues that bring adults into the office include crooked teeth, missing teeth, malocclusion, TMJ and more. Are braces for children different from braces for teens and adults? Braces are the same for patients of any age. Whether you choose conventional braces or Invisalign aligners, the braces are customized to fit each patients mouth perfectly. Metal Braces – These are the most common type of braces. They attach to the front of the teeth and are made of stainless steel. Clear Ceramic Braces – Similar to metal braces, ceramic braces are less noticeable and blend in with the color of teeth. Invisible Braces – Invisalign is a teeth straightening system that is clear and removable. The patient wears the aligners for 20 to 22 hours a day and changes them every two weeks unless otherwise directed by a professional. As you can see from the information shown above, braces are beneficial for people of any age. The growth of adult teeth is a requirement, so age seven is an excellent time to visit the orthodontist to begin treatment that will lead to braces. Dr. Jacquie Smiles offers conventional braces and Invisalign aligners. 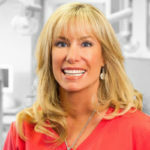 She is an Invisalign Elite Premier Provider and has been recognized as a top Invisalign provider since 2003. Is now the perfect time for you to get braces? If you are interested in consultation in NYC, please contact the offices of Dr. Jacquie Smiles today for an appointment by calling 212-972-3522 or filling out the contact form to receive additional information. Her office is conveniently located near 30 East 40th Street Park Avenue, New York, NY 10016.